Last season didn't produce the desired results he had hoped for, but Matt Stajan already has his game face for the upcoming 2011-12 NHL campaign. A slow start was the ultimate undoing of the Calgary Flames last season, as the Northwest Division club missed out on the Western Conference playoff scene for a second straight year. For Stajan, who was traded from Toronto along with Jamal Mayers, Niklas Hagman and Ian White to the Calgary Flames for Dion Phaneuf, Fredrik Sjöström and Keith Aulie on January 31, 2010, it was frustrating, to say the least. The Flames struggled mightily early on, plummeting to 14th place in the conference at the Christmas break, before making a spirited late bid in an attempt to earn a spot in the top eight. On a personal level, Stajan, who played three seasons with the Ontario Hockey League's Belleville Bulls, 2010-11 was not a campaign he has fond memories of. He's determined to bring the same work ethic to the rink in 2011-12, but with a more relaxed mindset. “After I signed the contract (four years) with Calgary, expectations grow,” he offered. “But I think I fell victim to putting too much pressure on myself. That's the last thing you want to do. I've been playing the game for a while and I love the game and I know what I am capable of doing. Stajan, who scored his first NHL goal on his first shot, is determined to start 2011-12 on a high note. “That's what you aim for and that's what you hope for,” said the veteran of 547 NHL regular season games. “I think we learned a lot as a team last year, especially about what you need to do to make the playoffs. One game can make all the difference. You go out there with the intention of winning every game, but the last you thing you want to do at the end of the season is look back and know that you let a game or two slip away. 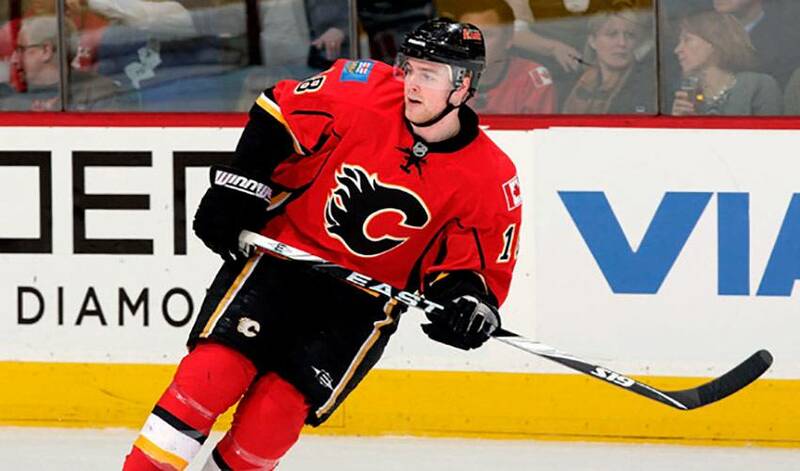 Stajan, who had 41 points in 55 games with Toronto prior to his trade to Calgary, hopes to do the very same. Stajan certainly has plenty of reason to hope it's a big year for himself and Calgary, eagerly anticipating a chance to add to his three games of big-league playoff experience. If it sounds like Stajan is a man with a plan, you'd be right.